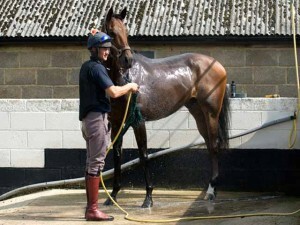 Richard rode as an amateur jockey for ten seasons, hanging up his boots in 2011 to concentrate on training point-to-pointers and managing the stud he runs with his wife. He had much success training pointers, including several Hunter Chase winners and notably winning the Redmills Intermediate Final Hunter Chase at Cheltenham two years in a row. 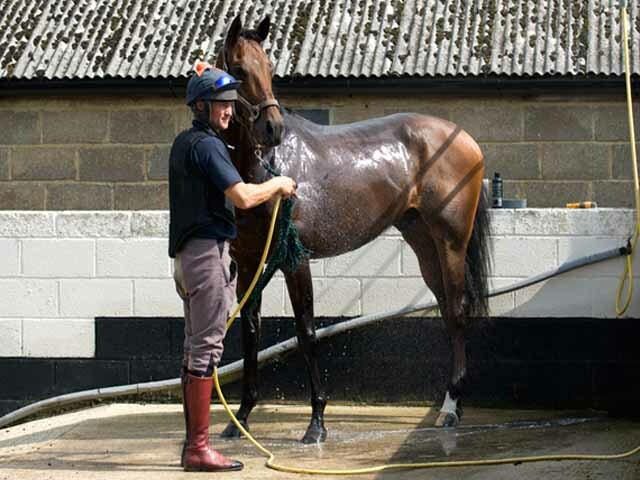 He completed his NVQ in Racehorse Management in 2018 allowing him to start the process of applying for his Combined Training License which was granted in September 2018. Kate is the point-to-point trainer, secretary, on-site veterinary surgeon and mother of four children – Jasper, Matilda, Charlie and Rory. Sam’s background is in eventing and she has worked for us full time since 2015. She rides out every day. Her attention to detail and expertise in schooling horses on the flat and over poles is particularly valuable for the young racehorses. In her spare time she competes her ex-racehorse Will. Vicki is mostly based in the yard but also rides out from time-to-time. She is excellent at dealing with the young horses on the ground and is a huge asset when we are breaking-in youngsters. Jackie is based in the yard and is rarely seen without a broom in her hands! She is an integral part of the team. Tara has ridden from a young age in various different disciplines and is a quiet and competent rider.